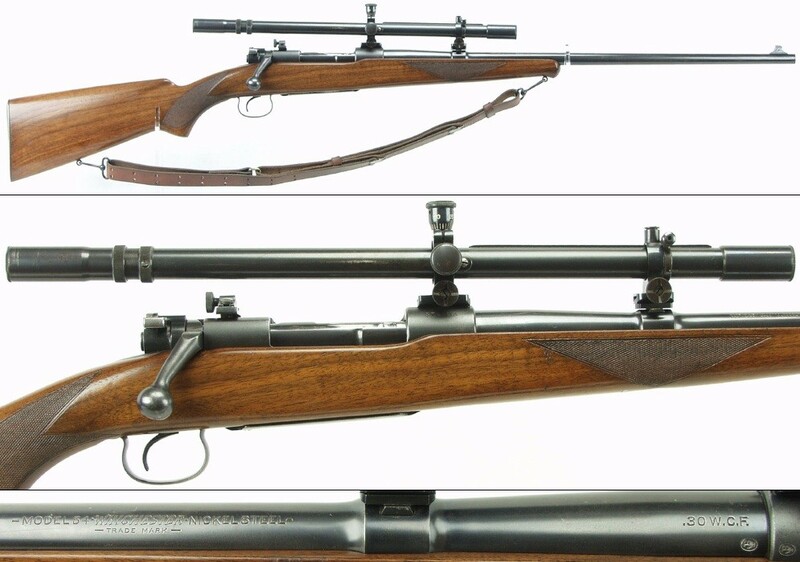 Home Forum Winchester Rifles Model 54 .30wcf should i buy? It depends on what you want the gun for. 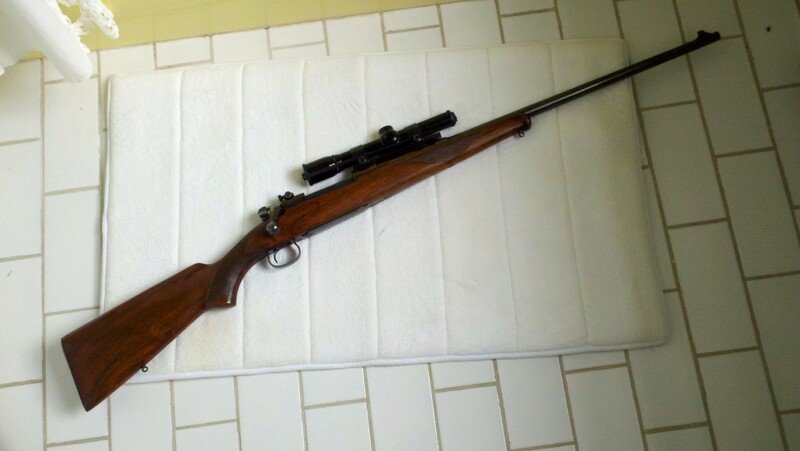 A bolt action 30 W.C.F. is fun to play with at the range. But if you are thinking of it as a collector piece or something for resale at a profit, then I'd pass. The 30 W.C.F. chambering in the M54 is not really that rare, and a good clean one with no alterations is about a $1500 gun more or less. The biggest issue is that the M54 bolt handle did not accommodate a low mounted scope. So typically, when they were D&T on the bridge the bolt handle also had to be cut/rewelded to clear a scope. This, in turn, required that the stock be relieved to work with the bolt handle. All in all that doesn't leave much "original" and it is a fate suffered by all too many M54s. Could the holes in the receiver have been factory D&T’d for a receiver sight? Yes... To be clear, the factory holes in a M54 are the same as in a pre-war M70. TWO 6-48 holes on the top of the receiver ring (front), NO holes on the top of the bridge (rear), and TWO 6-48 holes on the left side of the receiver back near the bridge for mounting a receiver sight. There are also NO holes on the top of the barrel, e.g. for a scope block. The M54 in my photo above uses the four factory holes to mount a scope block (Lyman 'U') on the receiver ring and an old Redfield 102W receiver sight (that does not require stock inletting). The barrel block is a Lyman 'BK' cross dovetail block installed in the rear sight dovetail. A photo of Chicky77's gun would allow a more accurate answer to his/her question. I once saw where someone modified a Stith mount to position the rear ring far enough forward that a M54 bolt handle will come up behind the ocular end of the scope. But I believe that the usual pre-war scopes that have enough eye relief, e.g. Lyman Alaskan or Weaver G330, are too long to work with the front sleeve on a Stith. Had to jump in here with a FWIW comment. 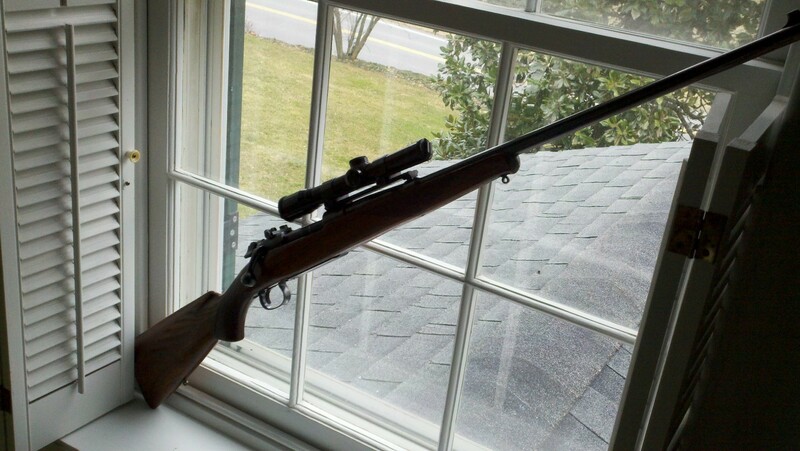 When I first acquired my standard Model 54, .30-06, it had a Burris 2 3/4X forward mounted scope in what I understand to be a "Scout Scope" configuration (google Scout Scope, Chuck Hawks). The scope attached to a rail with Weaver ring mounts. The rail attached to the front bridge of the receiver and to a blank in the rear sight dovetail by single screw. Worked pretty well for me but I have since removed. Here are a couple of pix. Yup... That would sure work!!! The trick with a low mounted scope is getting it far enough forward. The Lyman Alaskan had plenty of eye relief and in a side mount could be positioned far enough forward for the M54 bolt handle to clear the ocular bell. But of course that required D&T the receiver. From what I've seen the rear attachment of a Stith can be modified (fit with an extension that moves the scope forward) but then you need a pretty short OAL scope so as not to run into the shoulder "stop" of the front sleeve. The one I saw done that way used a vintage Noske scope, which is pretty short. I've not yet checked whether there is enough length in the front sleeve of a Stith to ream it out and let a G330 or Alaskan slide far enough forward, but if there is it wouldn't be hard for a good machinist to adapt one. 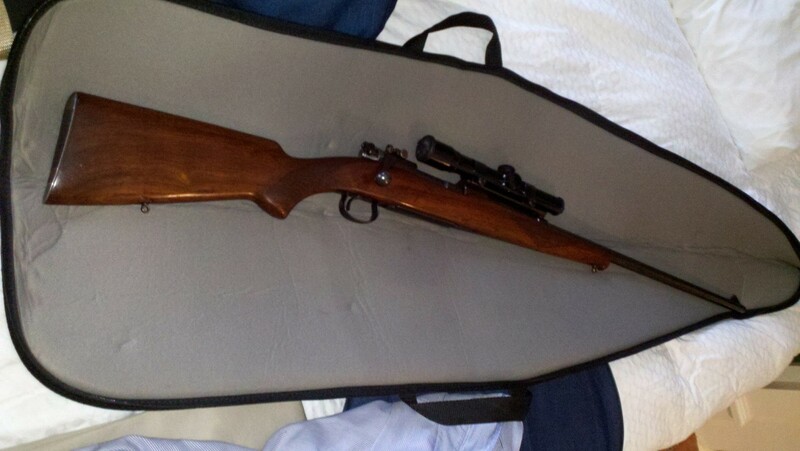 I think your solution is the best for somebody wanting to take their intact M54 afield... It shouldn't be hard to make something like that. Add Reply: Model 54 .30wcf should i buy?